Associate Professor Katherine Kedzierska is working with a team to unlock the secrets of influenza. They are getting closer to a universal flu shot. An international research collaboration, led by University of Melbourne Associate Professor Katherine Kedzierska from the Peter Doherty Institute for Infection and Immunity and Dr Stephanie Gras from Monash University, used cutting-edge single-cell technology, never before used in human influenza investigations, to hone in on human T cells one cell at a time to capture their response to the various strains. Their four-year study, published in Proceedings of the National Academy of Sciences (PNAS), found how the T cells reacted to new mutant strains of influenza as well as viruses they had previously been exposed to. The team used crystallography technology at the Australian Synchrotron to scrutinise the structure of the cells to identify how they recognise the mutant strains. They found that it was their flexibility and ability to adapt that enabled the T cells to essentially bully the new strains into submission. 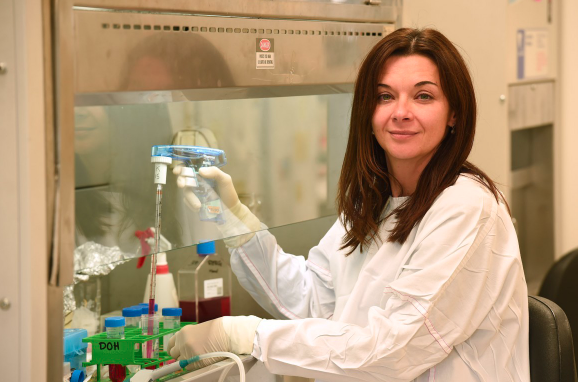 Associate Professor Kedzierska, senior co-author on the paper, said finding this piece of the puzzle was a major step forward on the path to creating a one-shot, T cell-mediated influenza vaccine for life-long immunity against the virus. The World Health Organization estimates flu infects between three million and five million people globally every year. “This is a game changer in flu research,” Associate Professor Kedzierska said. “Previous research has shown us that T cells provide universal, protective immunity to influenza, but we didn’t know why or how until now. Associate Professor Kedzierska said further research was necessary before a universal vaccine could be created. “Our past research has shown that only a seventh of the world’s population have the tissue make-up that provides universal immunity to influenza, the difference between a runny nose and being bed ridden,” she said. Dr Stephanie Gras, also a senior author on the paper, said: "The use of the Australian Synchrotron was absolutely crucial to understanding these fine details of the immune response to influenza."